High School All-American, NCAA great and NBA All-Star, Jeff Ruland. Jeff discusses his early sporting life and the major growth-spurt that coincided with his decision to focus on basketball. He was named High School All-American in the same class as Magic Johnson and was heavily recruited across the country. We chat about his decision to remain in New York and commit to Iona College, led by future luminary, Jim Valvano. Jeff opens up about the 1980 NBA Draft and why he opted to head overseas and play in Spain, before commencing his rookie season in 1982. We talk about Jeff’s excellent first three full seasons, that resulted in NBA All-Star selections in 1984 and 1985. Jeff recalls Michael Jordan’s debut game in the NBA and the rude awakening that MJ would receive on his first dunk attempt in Chicago Stadium. We chat about the impact of the Showtime Lakers and Boston’s Big Three, plus, the onset of injury issues that began to halt Jeff’s career. We also talk about one of the most memorable trades in NBA history; the Bullets’ decision to trade Jeff to Philadelphia, in exchange for Moses Malone. Jeff details his (first) retirement from the NBA in 1987 and how he went back to college to complete his degree, before making his remarkable comeback attempt in the 1992 season. We also learn about the successes of Jeff’s coaching career, that are also mixed with trials and tribulations you need to hear to fully comprehend. Our conversation covers a broad-range of interesting topics and is an open and engaging look at one of basketball’s most underrated – in my opinion – careers, ever. NCAA All-American, All-Star and five-time NBA Champion, Bill Cartwright. Bill discusses his early years, growing up in California and playing baseball – his first sporting love. He became a highly-recruited basketballer, but chose to remain in his home state, developing into a standout at the University of San Francisco. We also chat about Bill’s first memories of Magic Johnson and Larry Bird. In his senior season, Cartwright was named 1st Team All-American. Bill talks about the 1979 NBA Draft and his (very) underrated rookie season – where he was named an All-Star and All-Rookie 1st Team selection. He recalls some of the all-time greats he played with and against, including Earl ‘The Pearl’ Monroe, Darryl Dawkins, Julius Erving, Dave Cowens and many others. We learn about Bill’s career in New York, the legendary coaches he played for and the interesting details behind his trade to the Chicago Bulls. We chat about The Jordan Rules and its impact on the Bulls’ unity. We break down Bill’s career in Chicago – including his role as team co-captain. He offers his thoughts on each of his three NBA Championships (as a player), the Bulls’ (1994) season without Michael Jordan and more. We learn about Bill’s coaching career, too. He talks about his varied roles within the NBA, plus, his move to Japan, where he was Osaka Evessa’s head coach, in the Basketball Japan League. This conversation is wide-ranging and covers Bill entire career. We even talk about his future coaching plans and the chat concludes with a discussion of Australia’s own – and Cartwright’s former teammate – Luc Longley. Illinois Fighting Illini great, All-American and NBA star, Kendall Gill. Kendall talks about growing up in the city of Chicago – where he played baseball and took up boxing – before his family moved to the suburbs and he started playing basketball. Kendall starred at Rich Central High School and played four seasons at the University of Illinois at Urbana-Champaign. He was named 3rd Team All-American, his senior season. We chat about Kendall’s memories of the 1990 NBA Draft, where the Charlotte Hornets selected him with the fifth overall pick – he was named All-Rookie 1st Team, in 1991. 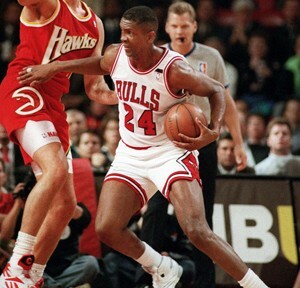 We discuss his three seasons in Charlotte and his involvement in the 1991 All-Star Weekend. Kendall talks about his trade from Charlotte to Seattle, where he played two seasons on one of the most exciting and up-tempo franchises of the 1990s. He discusses his trade back to Charlotte – where he played a further 36 games – before learning the shock news that he was traded to New Jersey. 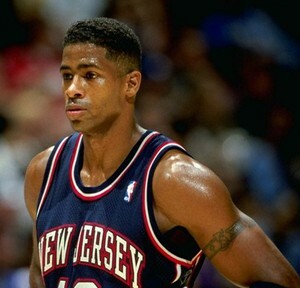 Kendall played six seasons with the Nets. We cover his final four seasons in the NBA. Kendall talks about playing for his hometown Chicago Bulls and the experience of playing with – rather than, against – Scottie Pippen. Kendall discusses his post-NBA career, where he spent seven seasons as a studio analyst for the Chicago Bulls – he candidly reflects on the (2013) altercation that led to Comcast SportsNet (CSN) Chicago, not renewing his contract. This is a conversation packed with great discussion topics. A little teaser, too – Kendall offers up an awesome story, relating to one of the NBA’s biggest trades of the 1990s. Note: due to audio issues, the first recording of this podcast episode failed. I then planned to feature – as a transcribed interview – our conversation, here on my website. However, Kendall generously offered for us to re-record the chat, the following day. I was most grateful for the opportunity. If you enjoy this chat, I’d be most appreciative if you take a moment to drop Kendall a line and thank him for his generosity. NBA Sixth Man of the Year, Illinois great, TV analyst and author, Eddie Johnson. We learn about Eddie’s early sporting career and how he first became involved with basketball. He chats fondly of his playing days at Westinghouse High School, where he first appeared on the national radar. We discuss his great college career, where he was a four-year star at the University of Illinois at Urbana-Champaign. Eddie talks about his return to Illinois, just last week, as mentioned above. We also touch on his collegiate link to future NBA star, Derek Harper. We cover Eddie’s memories of 1981 NBA Draft day and the motivating factors that ensured his place within NBA history. Eddie chats candidly about his professional career, where he was a scoring machine with the Kansas City Kings (who became the Sacramento Kings, after the 1985 season). We chat about his three (full) seasons in Phoenix, where he won (1989) the NBA Sixth Man of the Year Award. We talk about his trade to the Seattle SuperSonics, his one season in Charlotte and decision to play overseas, in Greece (1994-95). Eddie talks about his return to the NBA, for the 1996 season, as a free agent addition of the Indiana Pacers, before ultimately signing with the Houston Rockets in March of 1997. We talk about Eddie’s vital role on a Houston roster, loaded with future Hall of Fame players. I was also compelled to ask Eddie about his incredible buzzer-beating, game-winning three-point shot in the 1997 Western Conference Finals, too. We round out this great conversation, chatting about his post-NBA career. 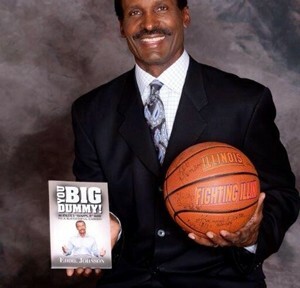 Eddie has been as a TV analyst for well over 10 years and recently found time to publish a book – with a fantastic title: You Big Dummy – An Athlete’s “SIMPLE” Guide To A Successful Career. We even find time to chat about a guy named Michael Jordan, plus plenty more topics. Marquette star and seven-year NBA veteran, Jim McIlvaine. In part two of this special double-episode, I welcome back Marquette great and NBA veteran, Jim McIlvaine. If you missed part one, we discussed Jim’s college career in-depth, where he was a stand-out at Marquette. He talked about his selection in the 1994 NBA Draft and first three NBA seasons – including, a completely open and honest assessment of his free agent move from the Washington Bullets to the Seattle SuperSonics, in 1996. This episode features part two of our chat – we continue discussing Jim’s playing days with Seattle, his relationship with George Karl and the coaching staff, plus, more great stories from on and off the court. 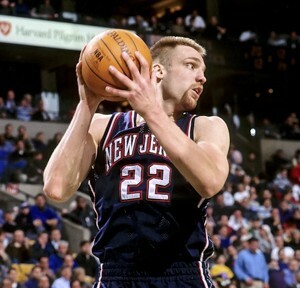 Jim talks about his career-ending injury whilst a member of the New Jersey Nets. We also talk about some of the radio and TV commentators he admires, and chat about his current role as a broadcaster at the university where he starred; Marquette. Towards the end of our mega-chat, Jim shares a wonderful, funny story about Gene Hackman – star of the excellent basketball movie, Hoosiers. In a first for the podcast, this conversation will be released in two installments. Our chat was almost two hours, in length – I’m pretty sure that Jim’s wife had the authorities on speed dial, ready to report him missing – however, all’s well that ends well – Jim returned to normality at its conclusion and I couldn’t be happier with the finished episode. In part one, we discuss Jim’s early years playing basketball and learn a great deal about his college career, where he was a stand-out at Marquette. This includes a funny story about Marquette’s early 1990s exhibition series that touched down here in Australia, then onto New Zealand and Fiji – complete with a near international incident. Also, if you’re a fan of the great documentary, Hoop Dreams, you won’t want to miss this chat. 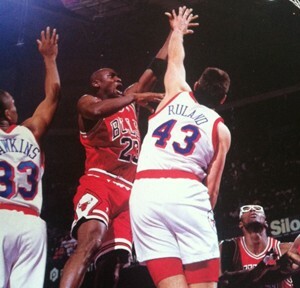 We talk about the 1994 NBA Draft and Jim’s two seasons in Washington, playing for the Bullets. He openly-discusses his free-agent move to Seattle – a contract widely debated at the time and still mentioned on occasion, to this day. On top of this, we learn about the importance and value of the National Basketball Retired Players Association (the NBRPA), of which Jim is a lifetime member. You’ll be hard-pressed to find a more open, honest and engaging guy, than Jim – I’m confident you’ll enjoy this conversation as much as I did, recording it. Thank you, Jim, for your generous availability. Part two of this conversation will examine Jim’s career in Seattle, his trade to the New Jersey Nets and injuries that ultimately led to his NBA retirement. We also discuss Jim’s broadcasting career, great basketball movies and his classic encounter with Gene Hackman. We’re now in the final days of 2013, as this episode is released. I hope you thoroughly enjoy the holiday season and have a great New Year. Exciting plans are ahead for 2014 – I hope that you continue to join me on this podcast journey. Thank you very much for your support. Three-time NBL Champion, four-time Australian Olympian and NBA player, Mark Bradtke. Mark talks about his entry into competitive basketball and we discuss his quick rise into Australia’s basketball elite. We chat about his time at the Australian Institute of Sport and later, playing for the Adelaide 36ers, in Australia’s NBL. 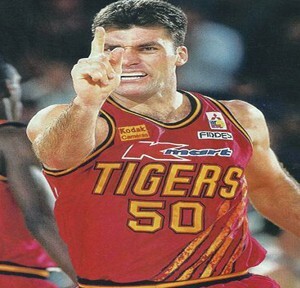 We talk about Mark’s decision to move interstate, to play for the Melbourne Tigers – joining forces with Andrew Gaze and Lanard Copeland – helping the team win its first NBL title, in 1993. Recently, the Tigers celebrated the 20th Anniversary of that victory and Mark talks about the reunion and special bond he shares with those players and personnel. We cover Mark’s outstanding Olympic career, where he represented Australia on four occasions. Mark talks about his opportunities to attend NBA training camps, plus, his 1997 season on the Philadelphia 76ers roster. He is open and honest about his time in the NBA and offers wonderful insight into the trials and tribulations of the experience. In 1997, Mark returned home to Australia. We talk about the contrast of leaving a struggling NBA franchise, to resuming his career at home and winning a second NBL title, just months later. We look back at Mark’s 2002 MVP season and he also offers his opinion on the current state of basketball in Australia, plus, his future ambitions within the sport. The conversation is scattered with references to the history of Australian basketball. Aside from his Tigers teammates, we talk about Shane Heal, Luc Longley, Andrew Vlahov and numerous other greats of Mark’s era. 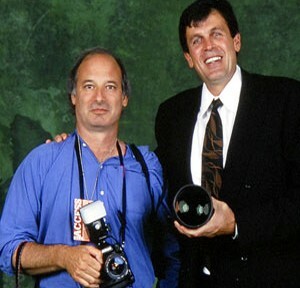 Professional photographer (formerly, 23 years with the Boston Celtics), Steve Lipofsky. Steve has been a professional photographer in excess of 25 years. We talk about his entry into photography as a youngster, the early years spent honing his skills, plus, his wide-ranging experiences, including, working with former and current Presidents (Clinton and Obama). Steve’s work has appeared in numerous publications worldwide, including Sports Illustrated and TIME – we talk about those opportunities, too. It’s also interesting to learn about Steve’s technical skills; he opens up about the pros and cons of pre-digital photography and the challenges of taking memorable photos. We discuss Steve’s 23-year tenure as the official Boston Celtics photographer, starting (full-time) in 1982. He was also official photographer for the newly-crowned, 2013 World Series Champion, Boston Red Sox. There’s also plenty of discussion about Boston’s ‘Big Three'; Larry Bird, Kevin McHale and Robert Parish. Plus, we talk about Michael Jordan, Julius Erving, Magic Johnson and of course, the great Red Auerbach. 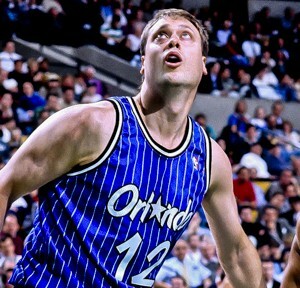 High School All-American, University of North Carolina star and NBA veteran, Joe Wolf. We discuss EuroBasket 2013, where Joe was an assistant coach to Mike Fratello, steering Ukraine to a sensational 6th place finish; earning the team a guaranteed spot in the 2014 FIBA World Cup. Joe talks about his amazing high school basketball career, where he was (2005) named Wisconsin’s greatest ever player. He discusses his career at North Carolina, playing alongside greats of game, including Michael Jordan, Sam Perkins, Brad Daugherty and Kenny Smith. We also learn Joe’s whereabouts, on the day he was drafted into the NBA, in 1987. We break down his 11-year NBA career, his years coaching in the (now defunct) CBA and NBA D-League and five seasons with the Milwaukee Bucks; culminating last season, as the lead assistant to Scott Skiles. 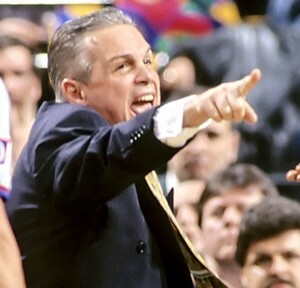 NBA Coach of the Year, TV Broadcaster and The Czar of the Telestrator, Mike Fratello. We discuss EuroBasket 2013, where Mike coached Ukraine to a fantastic 6th place finish; securing the team a spot in the 2014 FIBA World Cup. We then revisit Mike’s high school years, where he was a star athlete. He talks about his foray into coaching and the opportunities that would lead him all the way to the NBA. We talk about his intrinsic links to Hall of Fame legend, Hubie Brown. Mike opens up on the re-building process that led the Hawks’ to four-consecutive 50-win seasons. We chat about his 1986 Coach of the Year season and he tells a fascinating story about how he helped motivate Dominique Wilkins, to reach even greater heights (literally and figuratively) as a player. We talk about the 1988 NBA All-Star Game, where he coached the Eastern Conference squad to victory. Mike discusses his entry to the world of TV broadcasting, the origin of his classic nickname and relationship with the great Marv Albert and former guest of this show, Ian Eagle. You’ll also learn how Mike received a pair of game-worn, Shaquille O’Neal shoes, in unusual circumstances. We get the inside scoop on Mike’s experiences with Michael Jordan, including his time alongside MJ, as a coach at the Michael Jordan Senior Flight School. We talk about Mike’s six seasons coaching the Cleveland Cavaliers and his stint with the Memphis Grizzlies. Plus, we somehow find time to talk about the 2014 NBA season. An incredible array of topics are covered. Thank you, Mike Fratello!